As much as I love to cook, the stress of creating the perfect holiday meal can be overwhelming. 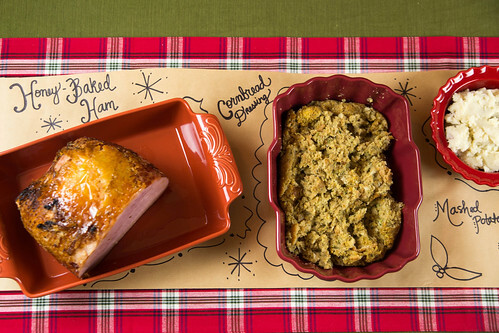 HoneyBaked Ham has some great options to create the perfect Christmas dinner. 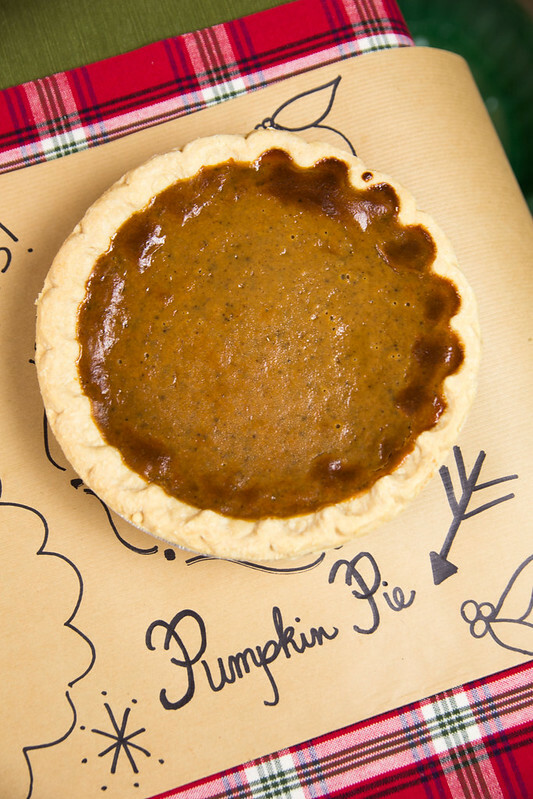 We tried out some of their options, and I wanted to share some tips on How to Dress Up a Store Bought Holiday Meal. 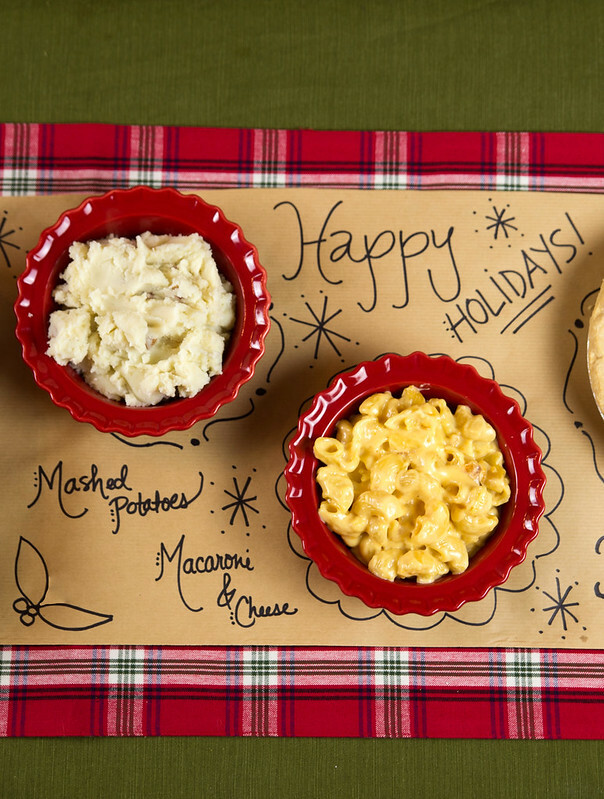 It’s so easy to dress up your holiday table to add a special touch to a store-bought meal. For our Christmas table, I used a beautiful green table cloth and a plaid table runner — plaid is one of the hottest holiday trends. I cut a piece of brown kraft paper to go along the top of the table runner — this is where you can add a homemade touch to your meal. I used a permanent marker to doodle around dishes and label the food. Such a fun and easy way to accent your table! Finally, you need the food! I used a variety of dishes — in different colors and shapes — to transfer our meal into. This really takes your table one step further and makes it look so fun! Green Bean Casserole and more! 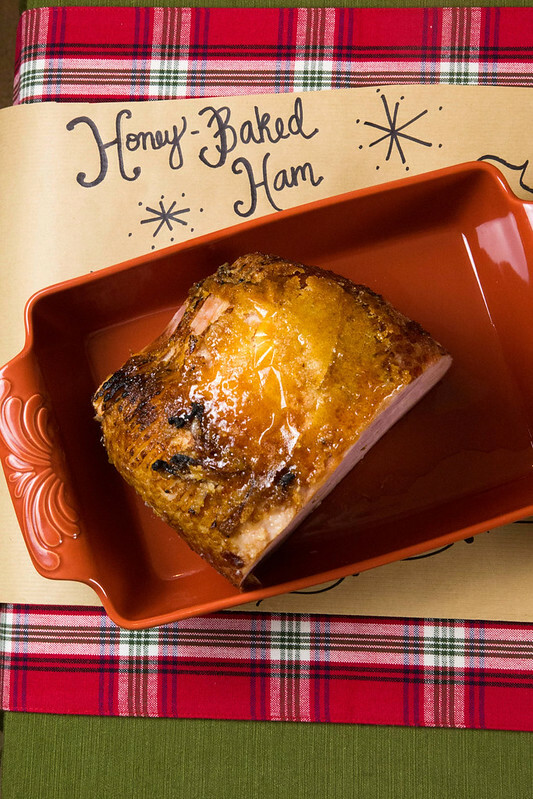 I really enjoyed the convenience of being able to walk in the HoneyBaked Ham store and leave right with my meal in hand — no need to order ahead. It’s perfect for last-minute meals for company. And the food was delicious — I especially loved the Cornbread Dressing. So yummy!